Left: Bouterse during his time aboard Astoria. Right: Bouterse after retirement, c. 1970s. 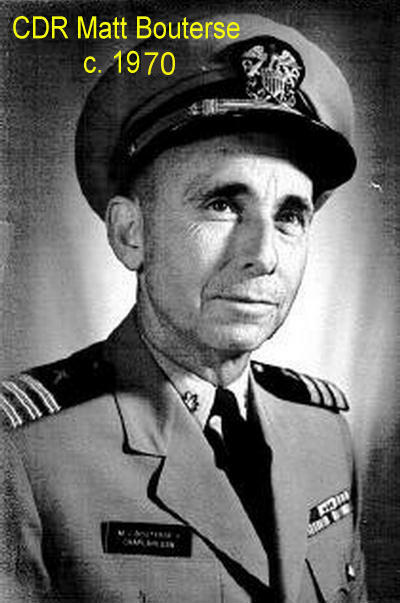 Matt Bouterse was the chaplain aboard USS Astoria (CA-34) during the Battle of Midway. Astoria was part of TF-17 at Midway, but is best known in history for its tragic loss at Savo Island as the Guadalcanal campaign commenced. Matt was a prolific writer and contributed many pages of anecdotes to the Roundtable concerning his experiences at Midway, Savo, and thereafter. 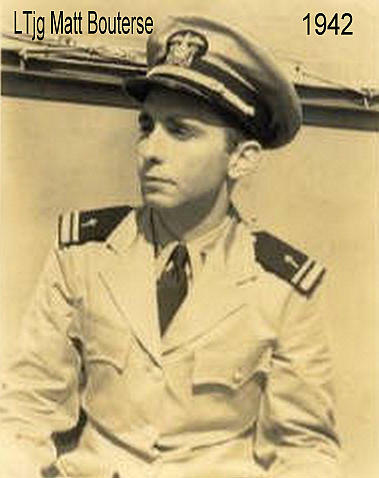 He retired from the Navy in 1963 after 22 years of service.